Edging your zoysia grass is an essential part of lawn care. An edger is used to trim the edge of the grass that lies along concrete sidewalks or driveways. You should edge your lawn before you use a line trimmer or mower. This way, your bagging lawn mower can help you to clean up the lawn clippings you created while edging. If you edge correctly, with the right tools, you should only have to take on this job once or twice a year. Edge the perimeter of your lawn that lies against a concrete sidewalk or driveway. Use a hand powered or gas/electric powered edger (according to the manufacturer's instructions) to create and maintain a 1/2 inch (or larger) gap between the edge of the concrete and the edge of the grass. Edge the perimeter of your lawn that lies against a fence or wall with a hand powered edger (a gas/electric powered edger can be used, but you risk damaging the structure). Place the wheel of the manual edger against the fence and push the edger back and forth to remove the grass in a small border along the structure. Edging in this fashion will keep the grass from staining the walls or spreading into your neighbor's yard. 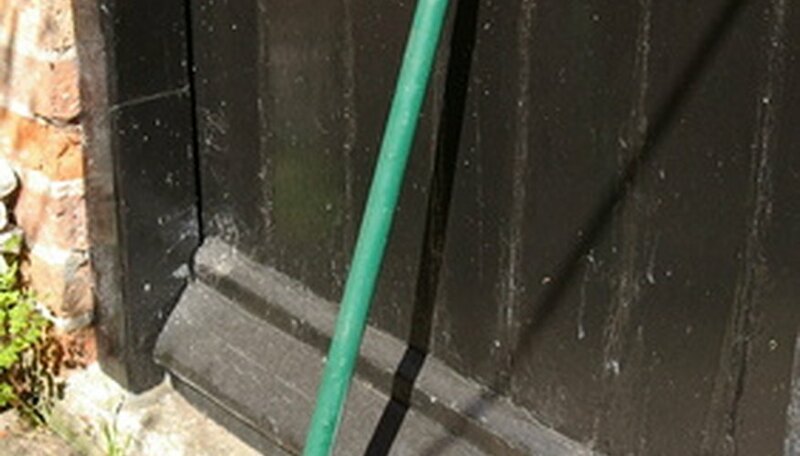 Edge the perimeter of the grass growing along your flowerbed with an edging tool (a short, half-moon shaped shovel). Insert the edge of the blade where you want the edge of your zoysia grass to be. Then push down with your foot so that the shovel penetrates roughly 3 inches into the soil. This 3-inch border between your flowerbed and your grass will create a bed for mulch and prevent the lawn from creeping into your garden bed. Pick up any upturned grass sections, shake the dirt off into the garden bed and then compost the grass blades. Read your gas or electric edger's manual thoroughly for your safety and to extend the life of the machine.